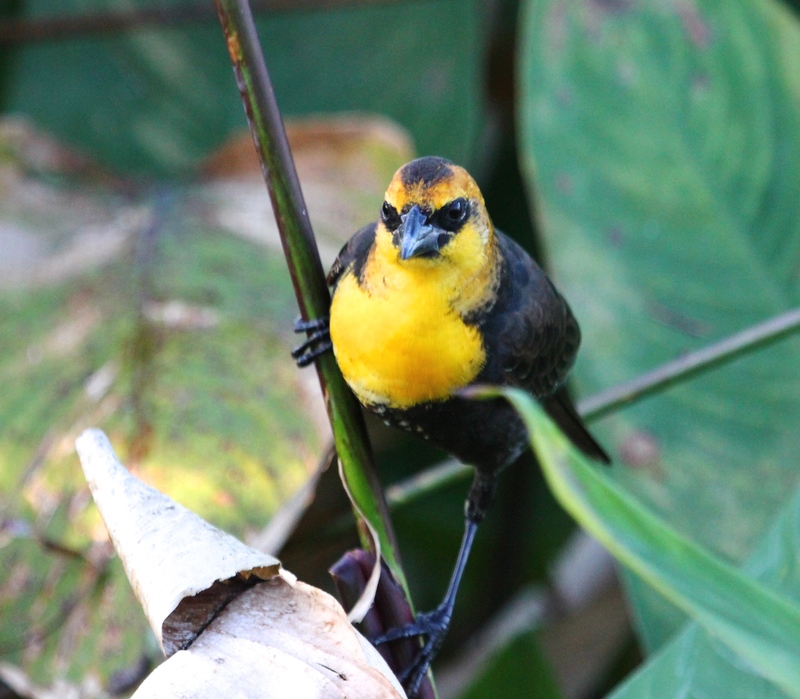 Yellow-headed Blackbird – Floridian or not?? 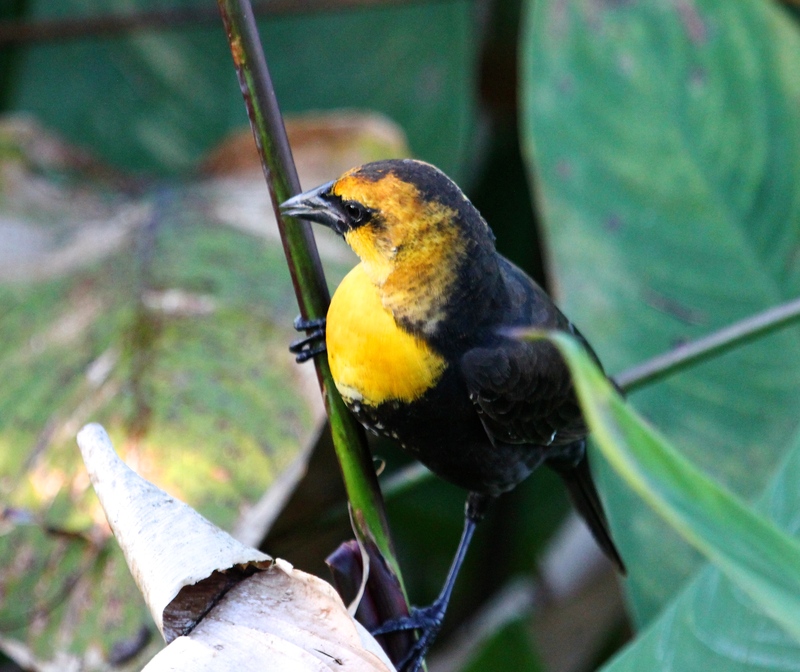 Our new friend, the Yellow-headed Blackbird, was out and about again, showing off his brilliant colors. Doesn’t seem to faze him that he’s 1200 miles from home! Most field guides and online sources say that this bird is far from his natural habitat, and that is what the local birders seem to think. But – a check of last year’s 2013 Florida Bird Checklist shows the Yellow-headed Blackbird and it’s not even designated as “Rare”. So, who knows…..?? I’ve not yet heard him sing . . . Although his showy and elegant cousins the Red-winged Blackbirds have beautiful songs, I read that the Yellow-headed do NOT sing well. Maybe we’ll hear him if he sticks around and becomes a permanent resident. This entry was posted in Birds and tagged Red-winged Blackbird, Yellow-headed Blackbird. Bookmark the permalink. « Setting up housekeeping . . .
It’s great when a ? rarity stays around for a while so that people get a chance to become familiar with it. Maybe he’ll sing closer to spring if he’s still there! Thank you for your visit, Sonja. I hope he does stick around – I must get out this week and see what’s new. I’ve heard from fellow-birders that at least 2 different ones have been seen. 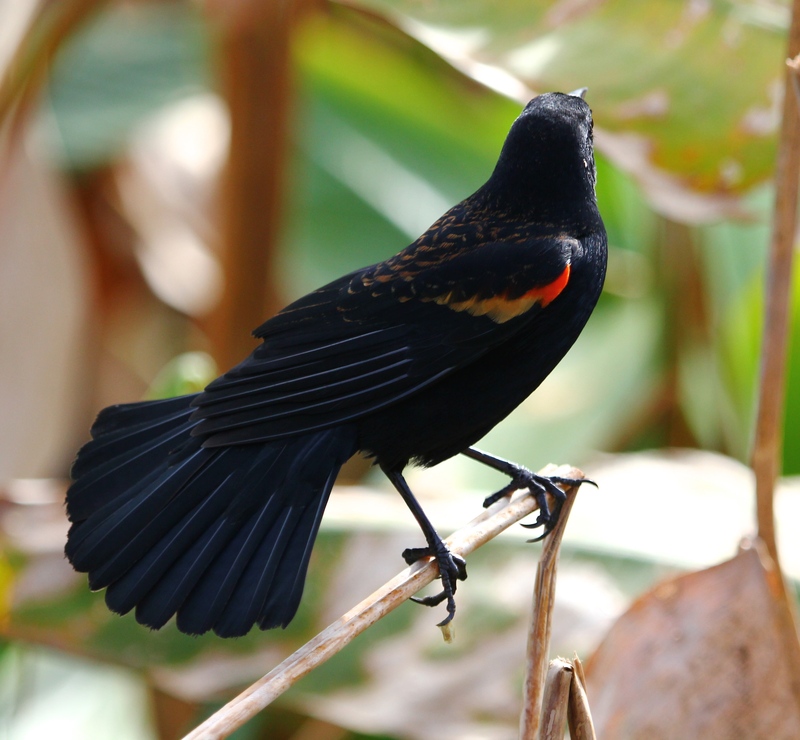 Your Blackbirds are so much more colorful than our introduced one, which is just black. Do your blackbirds have a beautiful song, and sing into the night? Such a showy and dramatic looking bird! Beautiful photos. I think that’s why it seems so special to see this unusual fellow – he IS quite dramatic, isn’t he? 1200 mile from home, seems rare to me. I love that photo of the Red Winged. Looks like a magazine shot. Thanks very much, Donna – how nice of you! The Red-winged Blackbirds are abundant now, and so showy that they almost seem to be posing for the photographers at times. hello, you think Florida is off his path, I saw one of these in GA a few years ago, and couldn’t figure out why a red-winged blackbird had his colors on his head!!! maybe they are changing their habitats due to the weather??! !